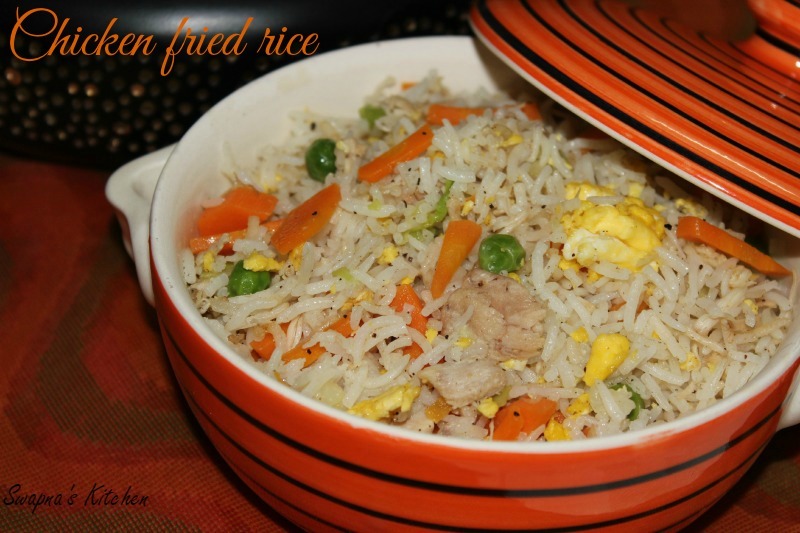 Chicken fried rice is a great way to include veggies,chicken and eggs in a simple,single meal.Chinese style chicken fried rice is a popular dish in most of the restaurants.Chicken fried rice is so easy to make at home and you dont have to get them from restaurants anymore. Cook the chicken with 1 1/2 cups of water for 4-5 whistles,shred into thin strips and use the chicken stock for making soups. 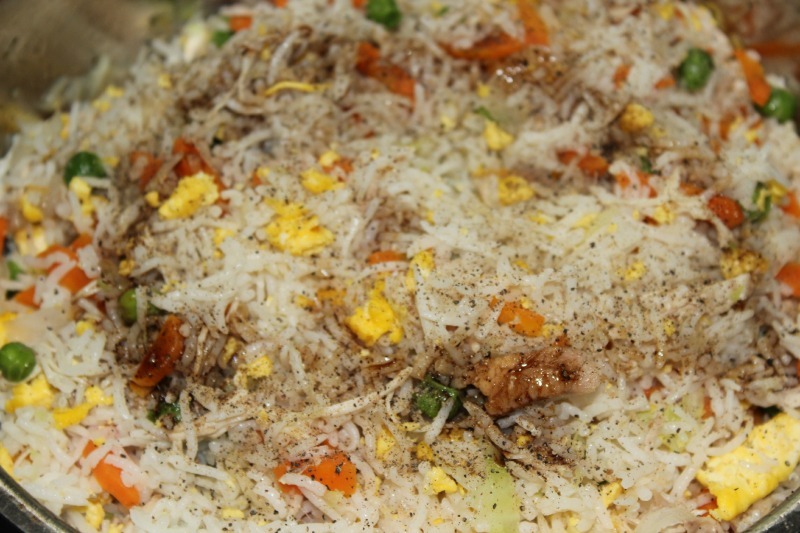 Beat eggs with a whisk in a small bowl with salt and scramble them in a frying pan with 2 tsp of oil over medium heat. 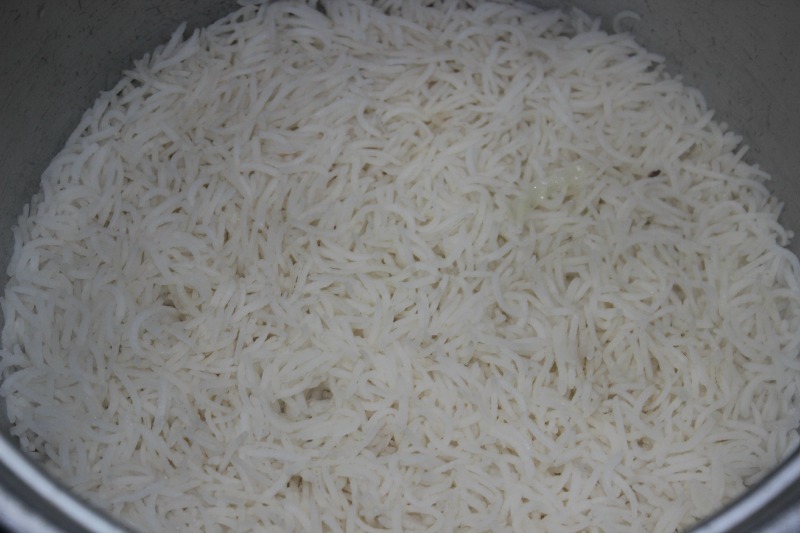 Cook the basmati rice with water in the ratio 1 : 1.5 . 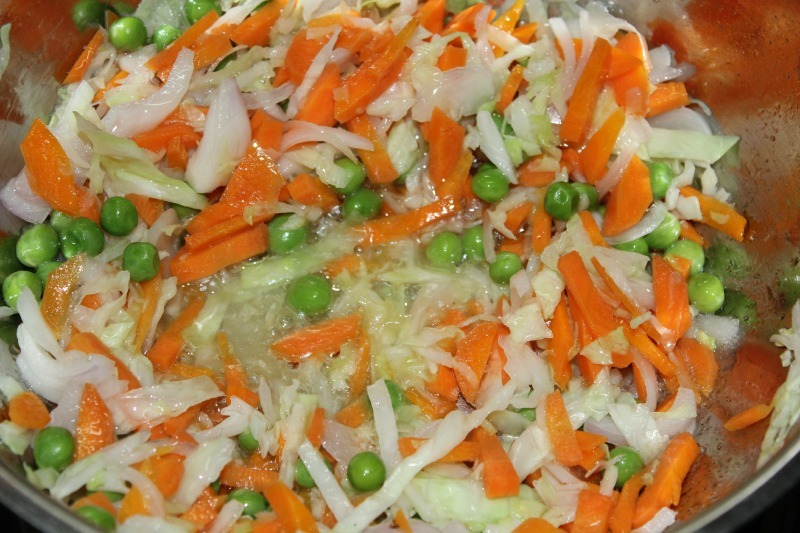 Heat oil in frying pan,add the carrots,onions,peas and saute for 2 mins on high flame stirring throughout.Then add the cabbage and saute for a min. 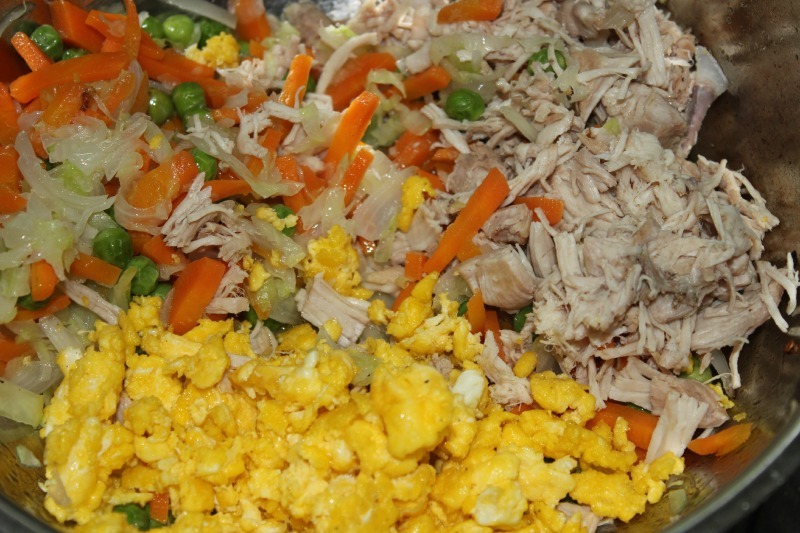 Now add the shredded chicken pieces,eggs with the veggies with little salt and pepper.Mix them evenly. 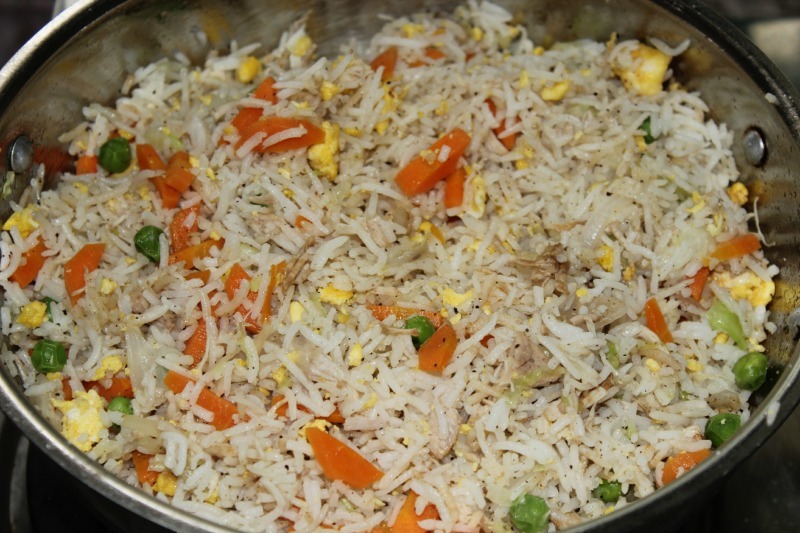 Add the cooked basmati rice to this and mix them well on medium heat.Add the soy sauce,pepper and mix well. 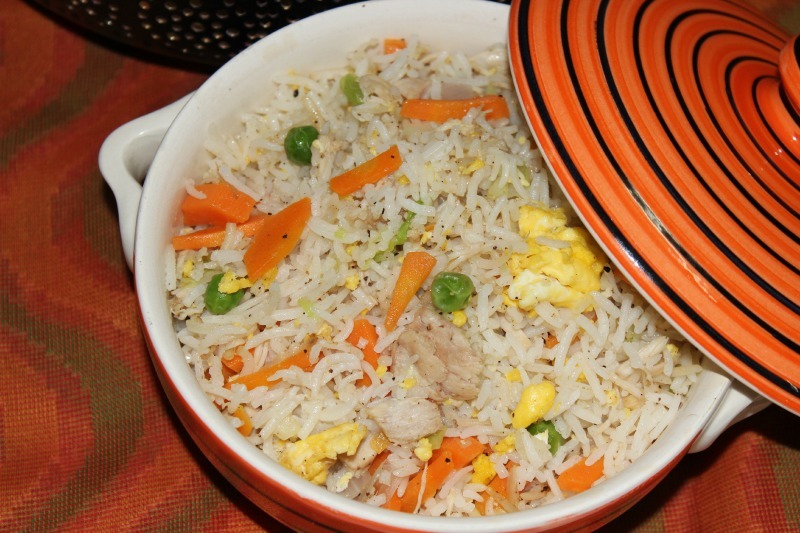 Serve the Chicken fried rice hot with Chicken Manchurian.